Boston Food Bloggers: Boston Food Bloggers Launch Party Recap! 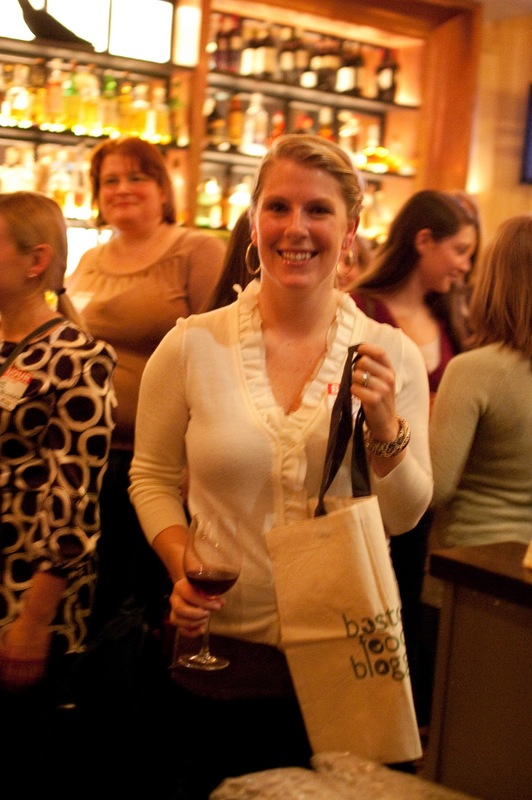 Boston Food Bloggers Launch Party Recap! First, thank yous. Then, things learned. Then, photos. Finally, links to your recaps and more! Thank you #1: All of you! Thank you thank you thank you to every single one of you who attended the party, tweeted about it, blogged about it, told your friends about it, etc. 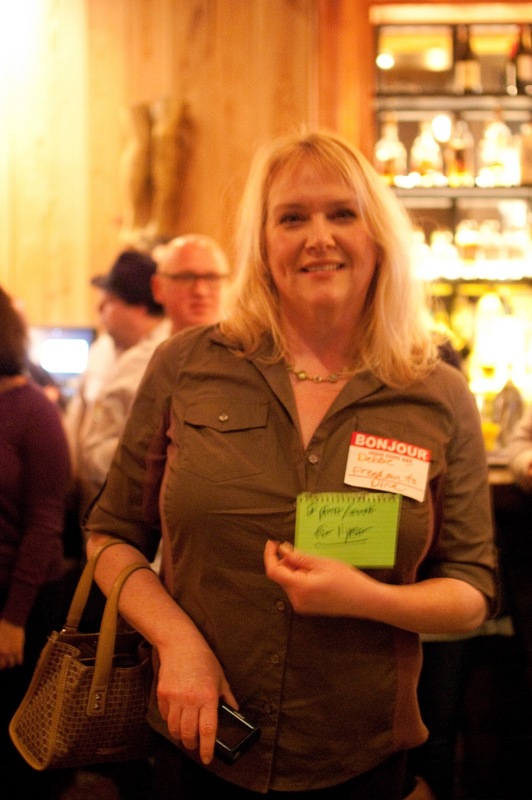 The turn-out was huge, and I also got a giant batch of new sign-ups for the blog list after the party. I especially want to thank all of the 'early adopters' of the site - some of you I already knew; some of you I did not. A number of you were listed on the site (whether or not you liked it) when I initially created it, just because I already knew of your blog, and I sent out a mass email that probably looked like spam, telling you to come check it out, update your listing, etc. So many of you responded quickly and enthusiastically, and that is when I realized that maybe this whole site wasn't such a bad idea, even though it threatened to be pretty time-consuming. 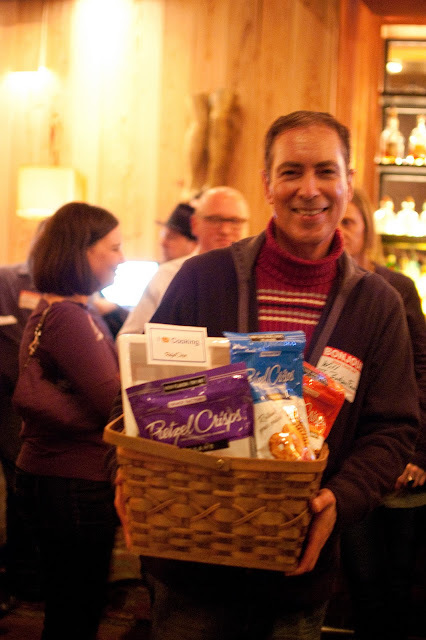 Thank you #2: All of the sponsors who provided party space, drinks, food, grab bag goodies, and giveaway stuff! 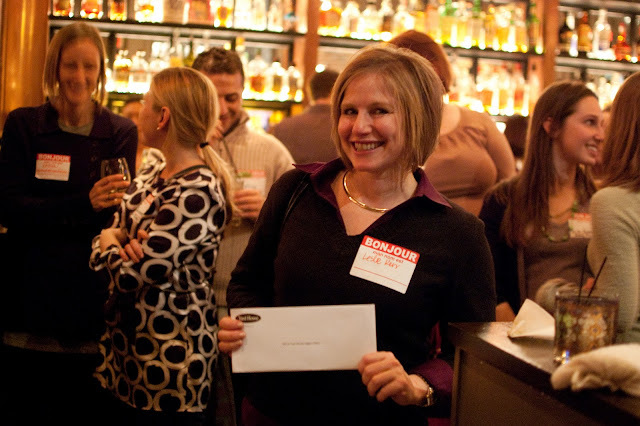 (Also, thanks to all of the wonderful PR folks who connected me with these sponsors!) Here's a full list of sponsors - please visit their sites, tweet about them, like them on Facebook - let them know how you feel about them! And everyone else, in alphabetical order (I really hope I haven't forgotten anybody! ): American Provisions, Anna's Taqueria, Aquitaine French Bistro, Basho Sushi, b. good, Boston Center for Adult Education, Chocolee Chocolates, Darryl's Corner Bar & Kitchen, Eastern Standard, Friendly's, Grafton Street, Island Creek Oyster Bar, Kings, Legacy Place, The Met Bar & Grill, Morton's, National Amusements, Russell House Tavern, Temple Bar, Treat Cupcake Bar, UFood Grill, Union Bar and Grille, Victoria Gourmet, Whole Foods Dedham, Whole Foods River Street, Yard House, Wagamama, Wicked Fire Kissed Pizza. Stuff that could have been improved: I feel so bad that people were waiting out in the cold for so long. The sign-in table had too many things going on. Since Christine handled the Eventbrite stuff and I handled who would get the gift bags (the first 50 RSVPers), we had two separate lists that I wish I could have consolidated into one. Christine had a snazzy iPad app with the Eventbrite list, so my plan to hurriedly star the gift bag recipients on the check-in list was thwarted by awesome technology. In the future: One list. Also, the guestbook was a flop. I intended for people to write a sentence or two about why they blog, but it devolved into a quick scribbling of their name and blog name, which was totally redundant since we had a check-in list. Oh well. In the future: Guestbook, maybe, but somewhere other than the sign-in table. Gift bags. I felt bad that not everyone got one, but early on, I decided to cap it at 50, which seemed like a good number that would allow sponsors to provide pretty awesome swag. Quality would have decreased had I begged people for 100 samples, I think. What do you think? Should gift bags be an all or none type of thing? 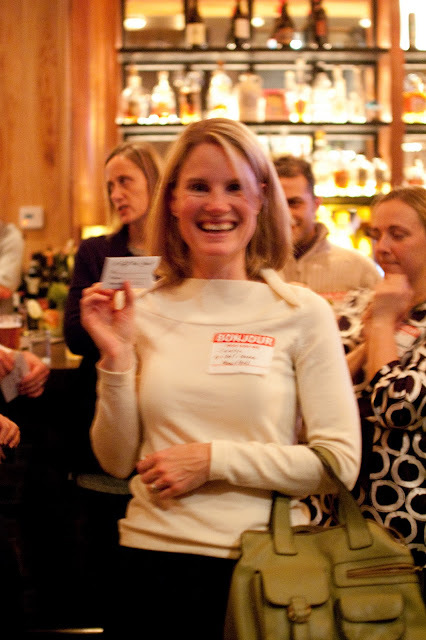 Or is it legit to offer a limited number as an early RSVP bonus? Capacity. Unfortunately, we just didn't have room for every blogger that wanted to attend. 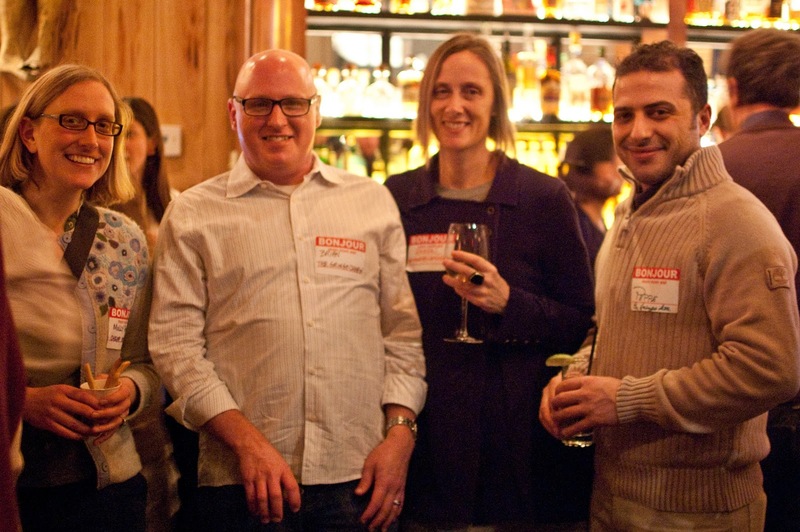 Perhaps it would have been better to limit the event to bloggers only - no guests. However, I think it's nice to have the +1 option when possible, particularly for events that aren't very T accessible. Allowing guests helps eliminate people traipsing around by themselves in unfamiliar areas without easy transportation. 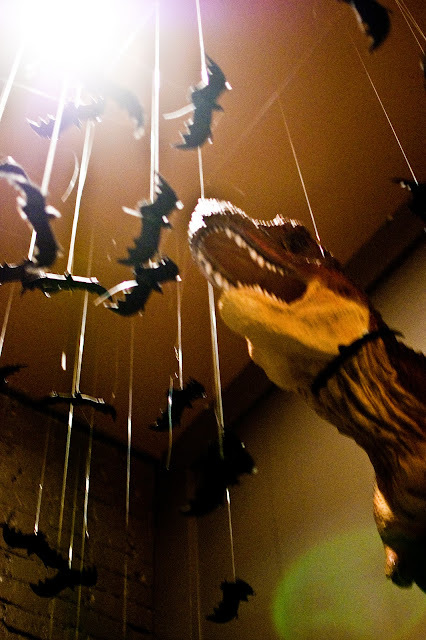 The entrance to The Gallows is guarded by a dinosaur and bats. Your awesome recaps - let me know if I missed any! bacon caramel chex mix. (Gourmet Recipes for One) - "One little bite of this mix was all it took. I was hooked. Light and fluffy and popped in bacon fat, this super smoky-flavored popcorn was the perfect base for the salty caramel, goldfish and pretzels that surrounded it. Crunchy, salty sweet goodness, all in one bite. No wonder it’s on their menu…it’s perfection." 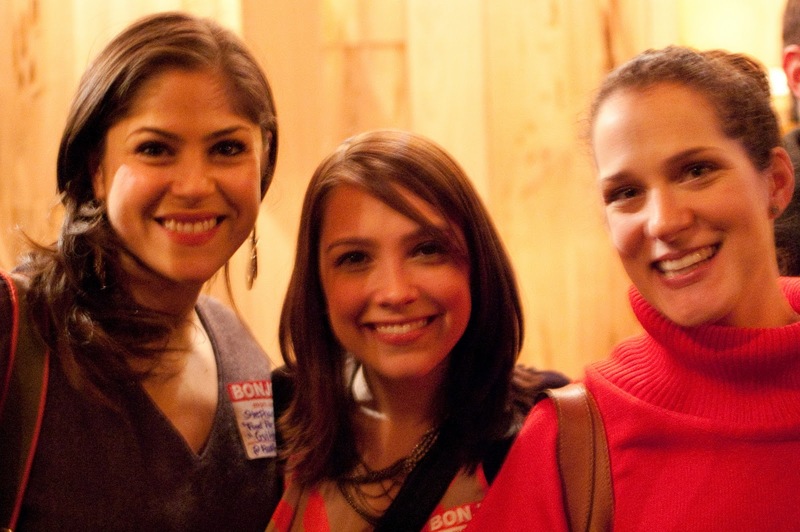 BFB Launch Party! (The Sailing Foodie) - "I am so happy that I put my stranger danger aside for a night and went out to meet some new and wonderful people!" 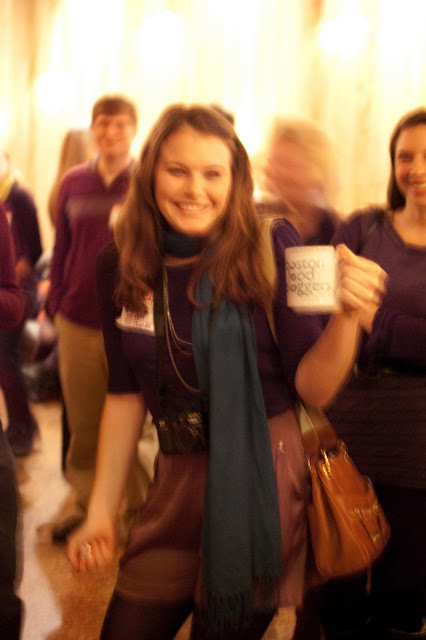 BFB Launch Party and SoCo Creamery (Free Food Boston) - "The thing that really struck me about SoCo’s ice cream was how full-bodied the flavors were. It didn’t taste like sweetened and mildly-flavored cream. You put a spoonful of the dirty chocolate on your tongue and there was no doubt that it was full-on chocolate." BFB Launch | The OG Mushroom Recipe (Just Add Cheese!) - "Jacki and I sipped on Chupacabra martinis, which were made with tequila and elderflower (and a lot of other stuff I can’t remember). The martini was much better than the pickle juice cocktail I had the first time I ate at The Gallows." 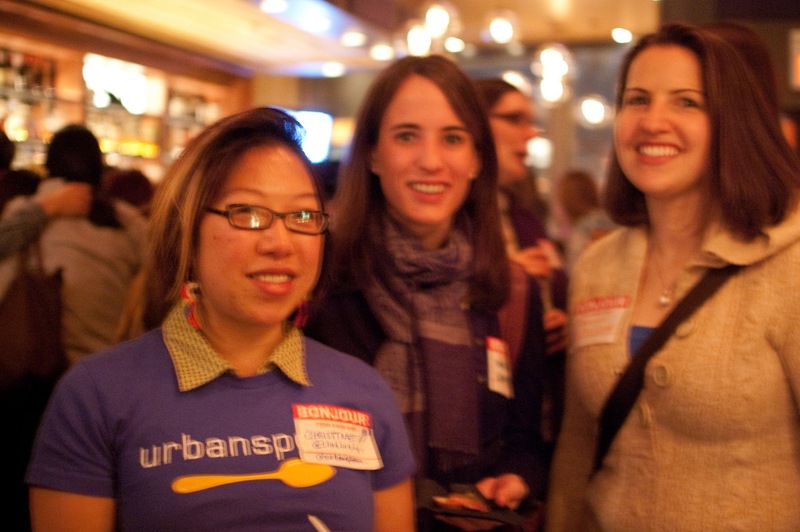 Blast Off: Boston Food Bloggers Launch! 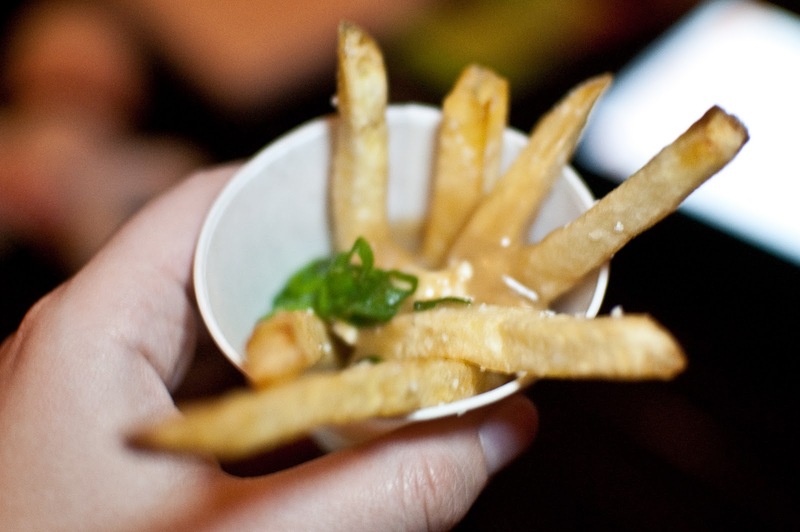 (Travel, Wine, and Dine) - "I also enjoyed a cone of poutine, fries with rich gravy and cheese curds. They were messy, but delicious. As a fry-lover, I approve!" Blogger Event and Lessons on Food (in the office!) (My Kitchen, My Sanctuary) - "One of my goals in 2011 is to expand my circle and get to know others who share a love for being in the kitchen and food in general. This was clearly the perfect event to do so." Boston Food Blogger Launch Party (Cooking Whims) - "All of the food was supremely delicious, but even better were the people there eating the food. I must admit, I was a bit intimidated going to this launch party. 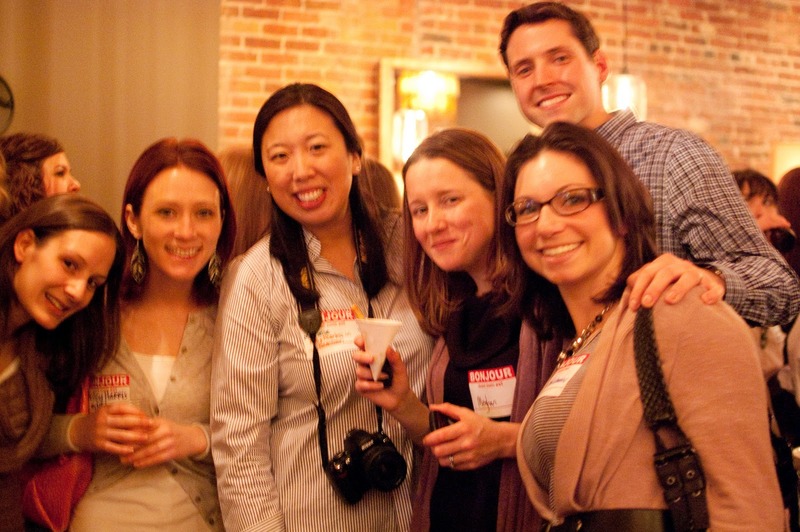 I follow a lot of Boston bloggers, but I’ve never met any of them in person before. But once I got in there and introduced myself to a few bloggers, I realized that since we’re all connected virtually, it was so natural to talk in person!" 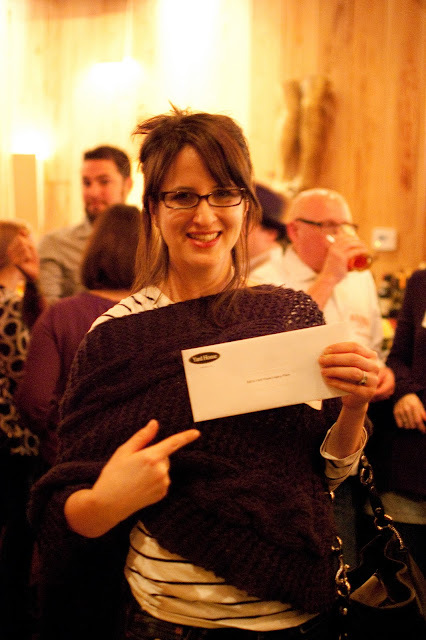 Boston Food Blogger Launch Party (i am a honeybee) - "Besides the food, The Gallows provided an amazing setting for the launch party. The Gallows is a beautiful restaurant complete with barn wood ceiling and long fully stocked bar. You def can’t miss the opportunity to saunter up to the bar to get creative drinks like the Missionary’s Downfall and Bear Hunter." Boston Food Blogger Launch Party (The Small Boston Kitchen) - "It was absolutely amazing to see so many foodie folks that braved the bitterly cold temperatures to talk about food. While trays of cheeseburgers (a review on them to follow, as soon as I can get back to give them a real try) and Poutine (gravy drenched French fries with cheese curds sprinkled on top) floated past, over 150 (!!!) bloggers chatted, laughed and of course, ate. It was half reunion and half, "Oh my god it's so nice to finally meet you!"" 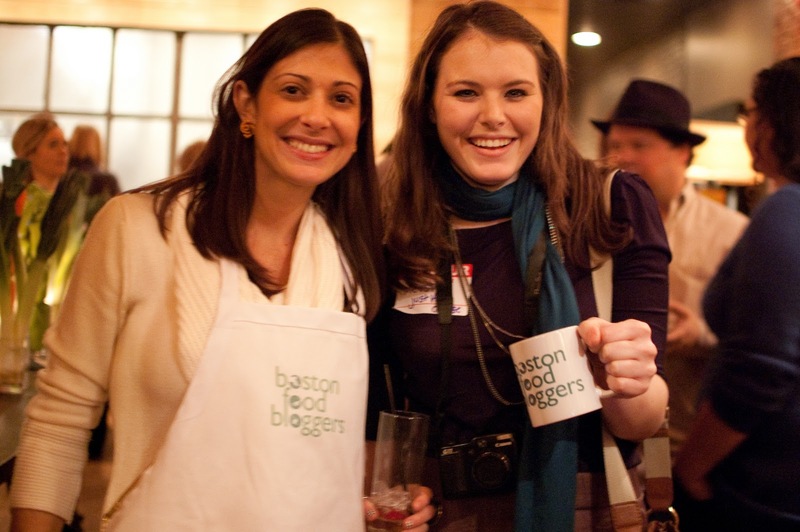 Boston Food Bloggers (Recipe Can Blog) - "I can’t wait to attend future events and meet some more foodies." 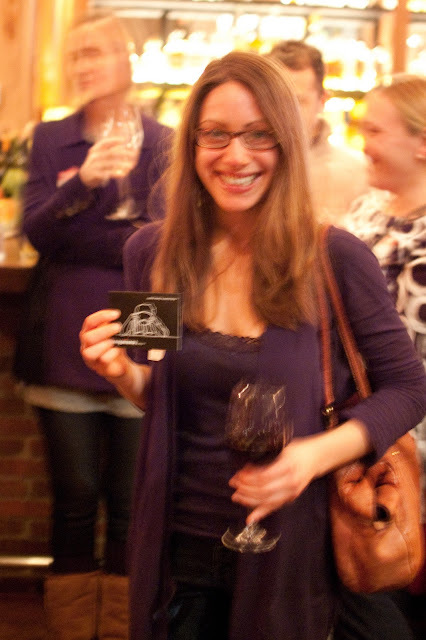 Boston Food Bloggers Launch Party (Delicious Dishings) - "The event was well put-together and well run. 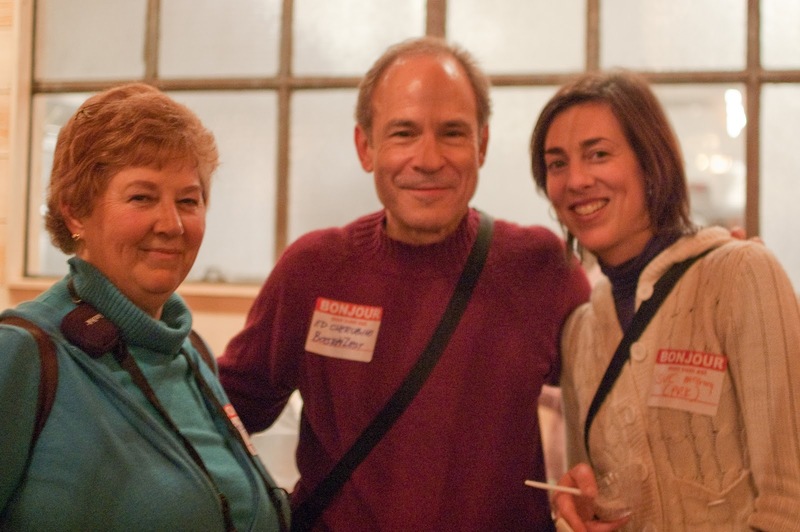 The only drawback is that there were just so many people it was hard to meet and chat with everyone. I think there were more than 150 people in attendance!" Boston Food Blogger's Launch Party (Fun and Fearless in Beantown) - "There was plenty of food, drinks, and fabulous food bloggers." 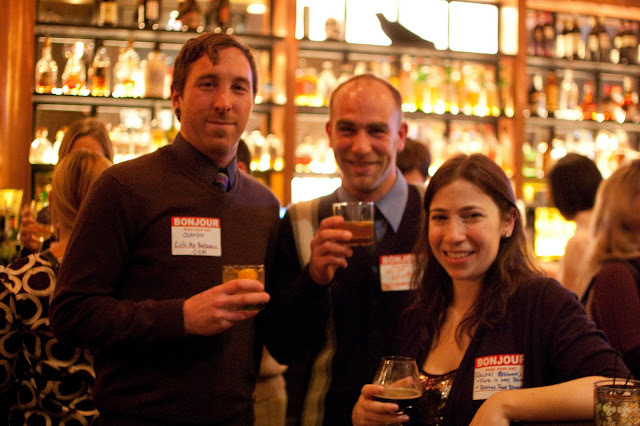 Boston Food Bloggers Launch Party (Tales From A Kitchen Misfit) - "Now, I am used to going to events that have free food and booze, but I was REALLY impressed with the food selection here. BACON CARAMEL CORN!?! It’s a good thing I didn’t know there was bacon in it until later on in the night otherwise I would had to have been rolled home." Boston Food Bloggers Launch Party (The Boston Foodie) - "I was joking with people that only two years ago a Boston food blogger event would have been about six people. 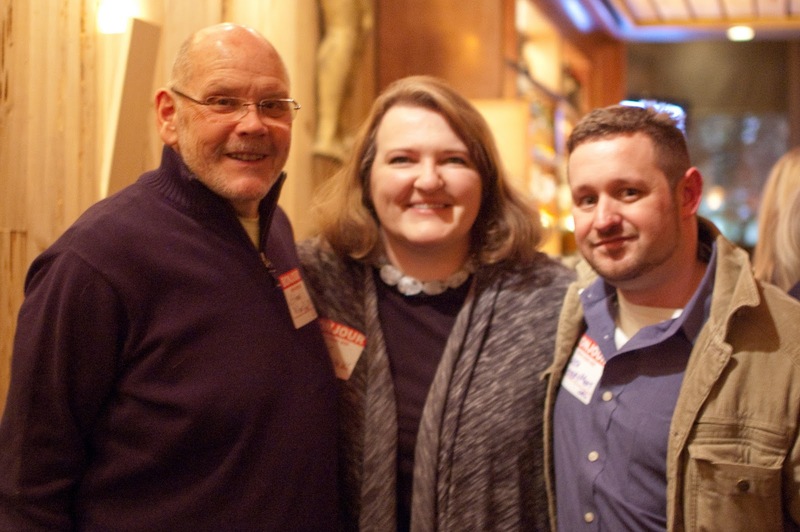 And many of those veterans were there to meet and mingle with all of the newbies." Boston Food Bloggers Launch Party: A look at the Boston Scene (A Boston Food Diary) - "When I wrote my first post I never dreamed of the places it would take me, or of the amazing people I would meet along the way. 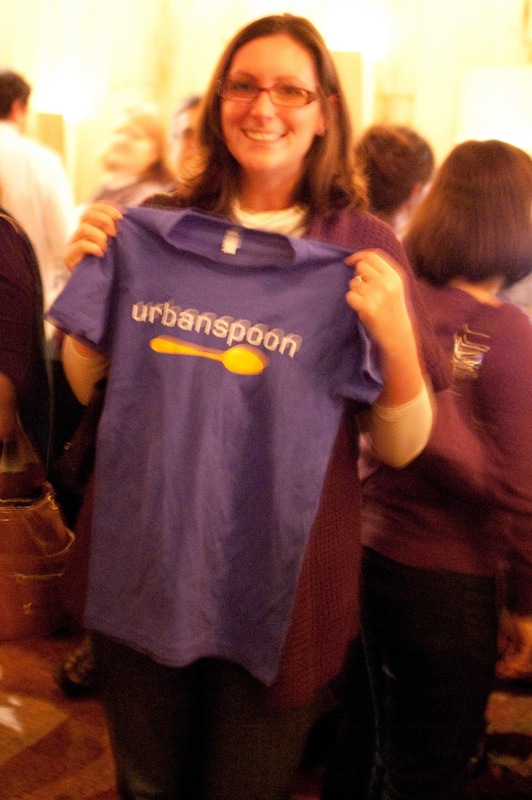 I am constantly astounded by some of the incredible food bloggers, all over the country, but especially here in Boston." Cocktails For Carnivores At The Gallows (The Passionate Foodie) - "Last evening, I attended the Boston Food Bloggers Launch Party at The Gallows, which has a list of some innovative concoctions. What immediately caught my eye was their Abbatoir, which is composed of Batavia Arrack, Lillet, Tawny Port, Veal Stock, and Caramelized Onions." Monday Funday (The Clean Plate Club) - "The food at the Gallows was great, and I'd love to try it next time I'm in town." A Night with the Boston Food Bloggers (Losing the Shadow Behind Me) - "A high class restaurant with Boones Farm on the menu! That brings back memories of basement dorm rooms and games of quarters. It made me smile." 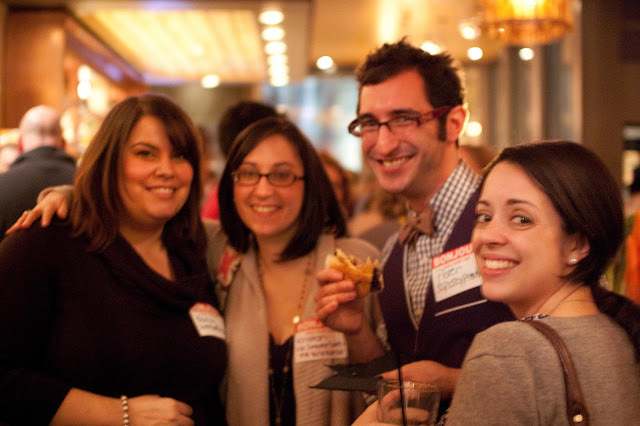 Resolution Follow Through: The Boston Food Bloggers Launch (Semi-Sweet) - "So let me paint the picture for you – 150 or so enthusiastic, vibrant and literate folks crammed into a small space, clamoring for delicious vittles cheerfully supplied by The Gallows (poutine?! crazy bacon caramel Chex mix?! ), Geoff & Drew’s Cookies, SoCo Creamery and more . . . and all so freakin’ friendly!" Oh hello! (Girls' Pint Out - Massachusetts) - "At one point the three of us were standing in there, an ice cream cone in one hand, a beer in the other. Heaven, right?" Sprinkles vs Jimmies Food Conversation (BostonZest) - "With food folks, every aspect of the learning experience is fun. Opinions are exchanged, shared favorites are celebrated, and agreements to disagree are made." 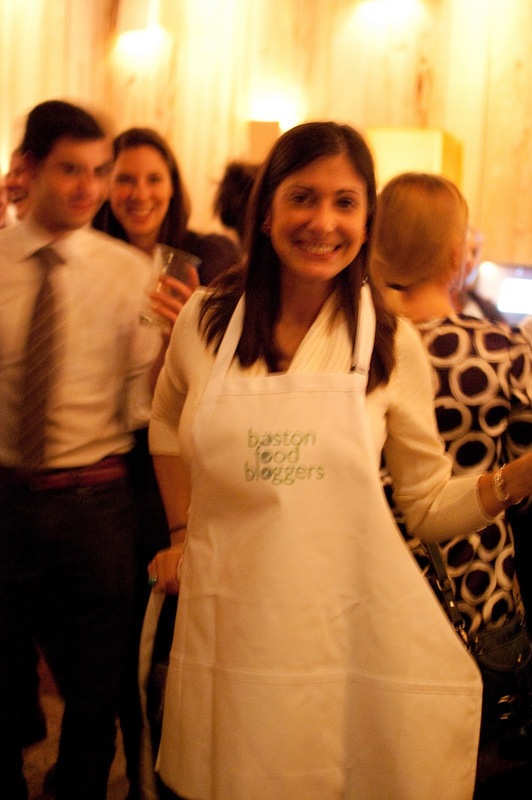 A Successful Launch for Boston Food Bloggers.com! 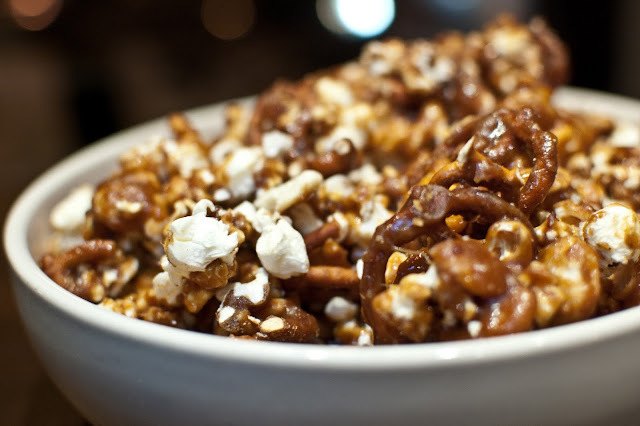 (Indulge Inspire Imbibe) - "Bowls of Bacon Caramel Chex Mix (popcorn and pretzels popped in bacon fat and covered in a bacon cream and sugar caramel) were an addiction waiting to happen. I'm pretty sure The Gallows have invented the ultimate party snack." 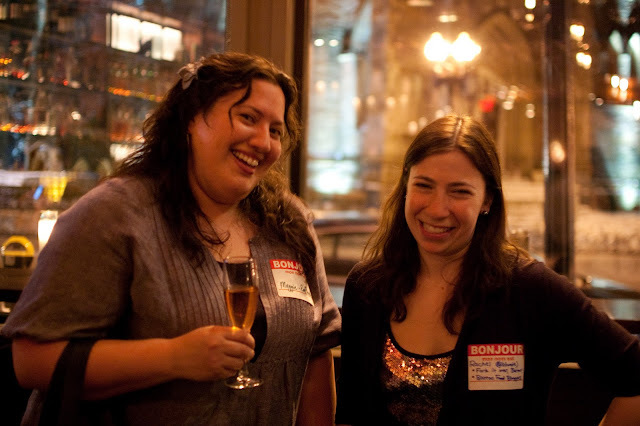 A Tale of Two Launch Parties & Finding Myself as a Blogger (umommy) - "I would describe the Boston food blog scene as a young, fun, supportive community. Yeah, this was my kind of scene." Cookies for you!!! 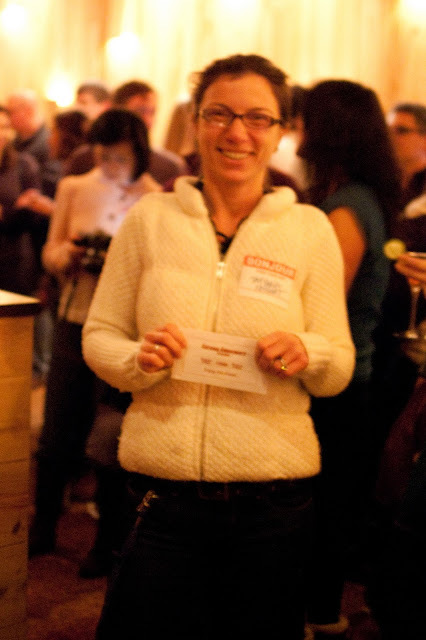 (The Sailing Foodie) - "Another perk that came from the BFB Launch Party on Monday was meeting Carol from Geoff & Drews Cookies." Mustard Glazed Mahi Mahi and Roasted Broccoli (Fun and Fearless in Beantown) - "I also added a heaping tablespoon of Victoria Taylor's toasted sesame ginger seasoning that was part of the Boston Food Bloggers launch party swag bag. This seasoning had an awesome presence of ground ginger and toasted sesame seeds. I know that this will definitely be used again in my kitchen!" 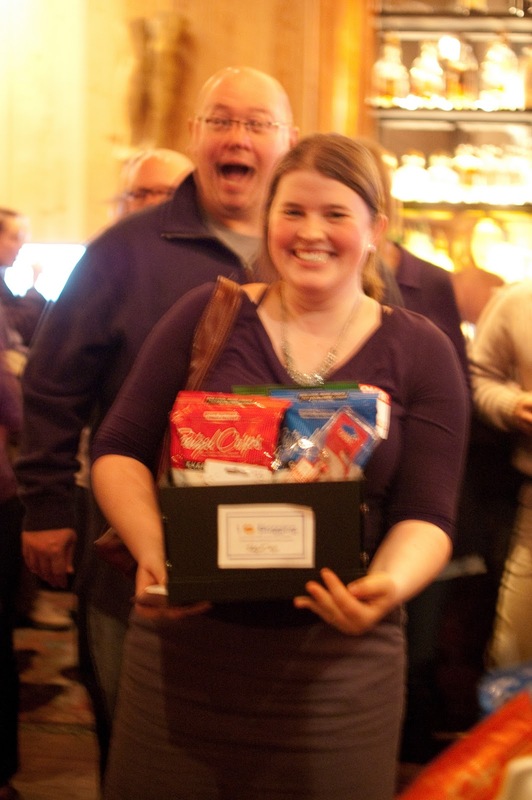 who doesn't love @gdcookies?! ((b)log.) - "...if you have a special valentine in mind or just loveee sugar like me- i totally recommend ordering up a batch of these delicious treats! 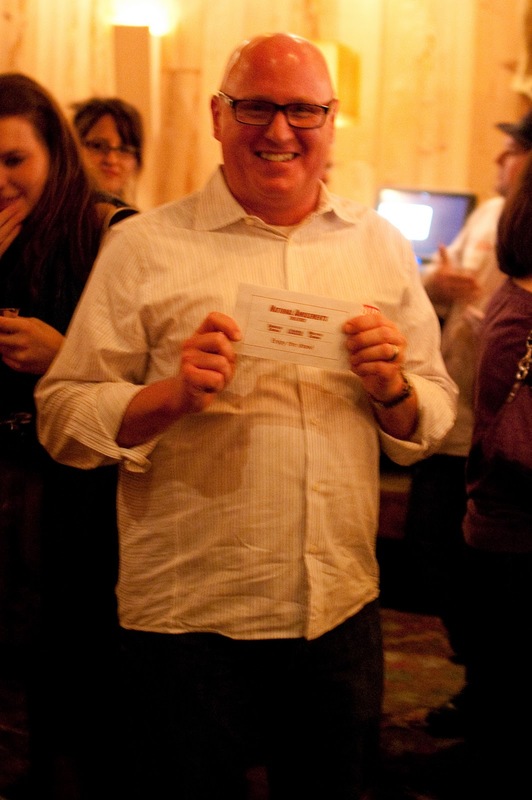 (and dont just take my word for it- gourmet magazine, the phantom gourmet, rachel ray and many others are all huge fans!)" 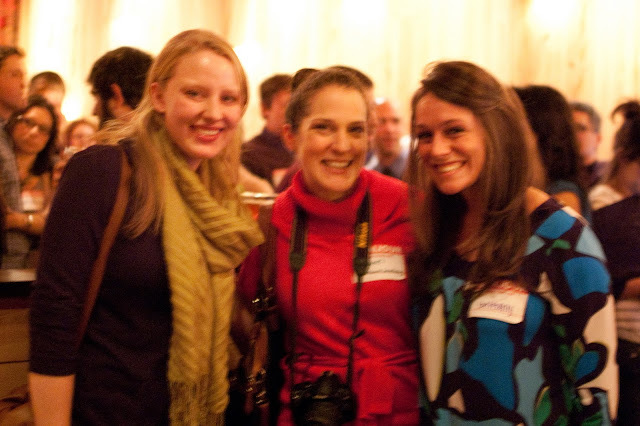 Also be sure to check out the tweets about the event, tag yourself in the photos on our Facebook page, and join the Flickr group and add photos! Thanks so much, everybody! More events coming soon!